The American Academy of Reflexology (AAR) began in 1982. The AAR was the first Reflexology School in Los Angeles and the world, to not only teach the many advantages of Integrating Foot Hand Ear Reflexology into the same Reflexology session, but also to offer an in-depth extended Full Professional Certification Course in the Integration of Foot Hand Ear Reflexology. Bill Flocco teaches in Oregon every spring. The International Institute of Reflexology (IIR) continues the work of Eunice Ingram and is the only reflexology school licensed to teach the Original Ingham Method® of Reflexology. According to owner and Eunice's nephew, Dwight C. Byers, the Original Ingham Method® of Reflexology has survived for over sixty years because it works. Jill Fox offers reflexology courses each Spring, Summer, and Fall. The Pacific Institute of Reflexology is located in Vancouver, B.C. Canada and services the Lower Mainland of British Columbia and beyond with reflexology training courses, reflexology products, resources and private sessions at our student & professional reflexology clinics. Established in 1982. Christopher Shirley, Director. 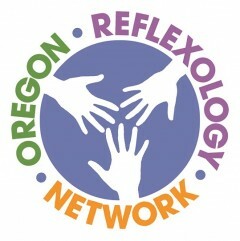 Seattle Reflexology is a Washington State approved school established in 1993, at a time when reflexology was almost unheard of in the Northwest. Since then we have pioneered the effort to educate practitioners and the public about reflexology and its benefits, and have witnessed a far-reaching impact on the field. Based in Denmark, Touchpoint provide lectures, seminars and continuing professional development for complementary therapists throughout the world. Their main target group is experienced reflexologists. They teach in Oregen about once every two years. Dorthe Krogsgaard and Peter Lund Frandsen.